Following the liberation of Til Hemis the YPG/YPJ also liberated town of Til Berak, both of which had served as large ISIS bases in the Cizîrê Canton. 70 ISIS fighters are reported to have been killed in the operation, according to an article in Özgür Gündem. Operations in the area are reported to be continuing. Meanwhile YPG/YPJ fighters in the Kobanê canton have liberated 12 more villages and have reached the west bank of the Euphrates. After they retook the villages YPG/YPJ fighters also captured the ISIS base at Şiyux, 40 km to the west of the Kobanê city center. The liberation of Til Hemis and Til Berak occurred as part of comprehensive operation to push ISIS from its remaining strongholds in the Cizîrê Canton. YPG/YPJ forces have been operating in partnership with local Arab tribal militias and Syriac Defence Forces, who have taken an active part in the operation. The YPG Press Center also released a statement about the progress of the operations in the Kobanê canton on the 167 day of fighting. 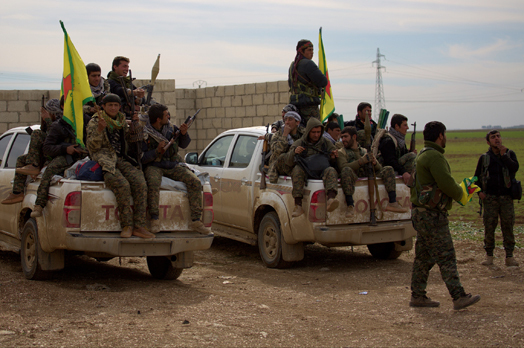 The statement noted that YPG/YPJ forces had liberated 12 more villages and had captured a number of strategic locations, adding that 3 ISIS fighters had been killed in an effort to infiltrate Til Temir. YPG/YPJ fighters also liberated the villages of Zor Mizar and Zaret during the course of fighting yesterday, and have entered the town of Şiyux (Şêxler a Jêrîn). According to information available the villages of Zor Mizar and Zaret, which are on the Turkish border, have been entirely cleared of ISIS fighters. 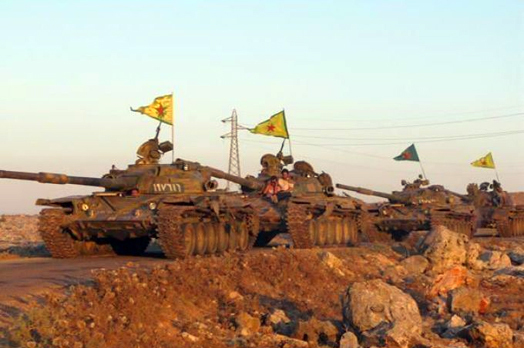 YPG/YPJ forces in Şiyux now control about half of the town, where heavy fighting continues.